Fall Tropes – arts, ink. Every season has fun activities that people associate with it and they look forward to doing these activities when the season gets closer. The activities tend to vary based on where you live because the weather tends to dictate what activities are doable. It in the Midwest activities for summer are going to the beach and playing in a pool, for winter it’s sledding and building snowmen and having a fire indoors, for spring it’s being able to not wear winter coats and walking outside again, and for fall it’s pumpkin carving and sweater weather. Fall has a range of activities that people look forward to based on their interests in particular. A lot of fall activities rely around Halloween, because Halloween is the main event that happens during the season. Some Halloween fall related activities include haunted houses, trick or treating, and Halloween parades. These activities are directly related to Halloween, but a lot of other fall activities are associated with Halloween even though they are not directly related to it. Some of these activities include pumpkin picking, apple orchards, and corn mazes. While carving pumpkins is a specific Halloween activity, going pumpkin picking is not. These activities get lumped into the same category because they happen around the same time because November might be too cold to do them. Other fall activities are not related to Halloween, but are related to being back to school. The main thing that this includes is football season. Fall is the season for high school, college, and professional football. While professional football continues into the winter, high school and college generally do not. This means that for a lot of people across America, the leaves changing colors means football seasons and Saturdays being taken over by tailgates and football games. This is especially true at the University of Michigan. Game day is the most popular day of the week for the entirety of football season (a.k.a. fall). Fall also means seasonal retail items, mostly pumpkin flavored things. Only in the fall can one find pumpkin bread and pie at the grocery store, and a pumpkin latte at Starbucks. This is when people go overboard of consuming their favorite fall themed things, not only food. Fall scented candles and decorations with leaves and acorns on them also increase because they reflect the weather. 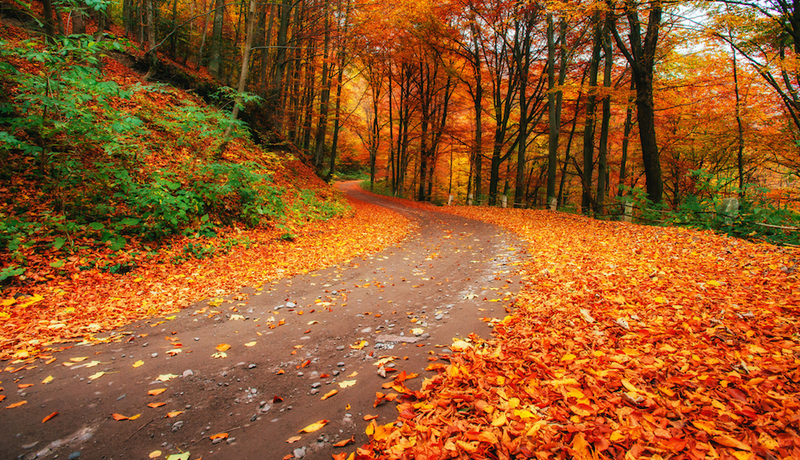 This happens with each season, fall is just particularly noticeable because people associate so many things with this one season unlike the others.